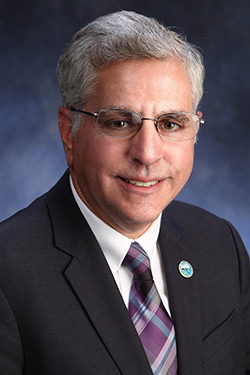 Chief Executive Officer of the City of Jamestown, New York, a Class A City with a population of 31,146, maintaining 450 employees and total annual budget in excess of $90 million. Responsible for policy-making matters, annual budget preparation and the day-to-day management of twelve departments and municipal utility operations (including electric, water, waste water, sanitation, and district heating/cooling). Established and operated a private, not for profit development organization comprised of more than 125 member businesses. Corporation activities included the marketing of the city\’s central business district, recruitment of new businesses, organization of monthly retail promotional activities, development of business financing programs, publication of a monthly newsletter, and the resolution of problems/concerns for member businesses. Coordinated the application and management of all federal and state community development grant programs for the City of Jamestown. Obtained $7 million in assistance through a variety of programs including CDBG, UDAG, ARC, and EDA. Board of Directors, Babe Ruth Baseball World Series, Inc.